Key difference: AMD is a multinational company that is based in Sunnyvale, California. 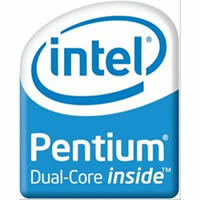 Pentium is one of brands of x86-compatible microprocessors produced by Intel. Over the years, AMD had number of processors that competed with the Pentium series. However, the processor that is considered to be a direct competitor to Pentium is AMD’s Athlon series of processors. 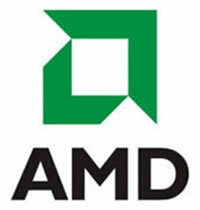 Advanced Micro Devices (AMD) is a multinational company that is based in Sunnyvale, California. Its major product is computer processors and related technologies, but has been known to produce microprocessors, motherboard chipsets, embedded processors and graphics processors for servers, workstations and personal computers, and embedded systems applications. Pentium is one of brands of x86-compatible microprocessors produced by Intel. Intel Corporation is a multinational semiconductor chip maker corporation headquartered in Santa Clara, California. It is actually the inventor of the x86 series of microprocessors. Currently, Intel is the world's largest and highest valued semiconductor chip maker, based on revenue. Together, Intel and AMD hold 99.1% market share of the CPUs sold for Q3/2011. In this, Intel had an 80.3%, share while, AMD amounted to 18.8%. AMD and Intel are always competing with each other. They always aim to come out with the next best thing and stay a step ahead of each other. Hence, their products are always closely related with minor differences that each of the company thinks will make their product better. Due to this, the processors of the two companies are virtually the same. The Pentium processor is a consumer-level product. It is placed higher than the low-end Atom and Celeron products but below the faster Core i3, i5, i7 and the Xeon processors. As compared to Intel Core, Pentium has a lower clock frequency, a partially disabled L3 cache, in addition to disabled hyper-threading and virtualization. The Pentium series has been in production for almost 20 years. Over the years, AMD had number of processors that competed with the Pentium series. However, the processor that is considered to be a direct competitor to Pentium is AMD’s Athlon series of processors. One of the main difference between the processors is the fact that Intel is often more expensive than its AMD equivalents. This generalization also applies to Pentium. This price difference is often driven by Intel, as it often holds the top spot when comparing the performance of microprocessors. Also, Intel processors, such as Pentium have longer pipelines than AMD processors. This allows them to have a much higher clock speed than what could be normally achieved. However, AMD has found another way to compete with the increased clock speed, in the means of storing and accessing the CPU memory. Intel Pentium processors store their memory in an L2 (level 2) cache. This is almost double the size of AMD Athlon processors’ cache. The L2 cache is a memory bank that stores and transmits data to the L1 (level 1) cache. The L1 (level 1) cache in turn, stores and transmits data to the processor itself. Hence, the larger the L2 cache, the faster the processing speed. So, even though technically AMD Athlon processors’ clock rate and cache space are listed as less on paper, it provides comparable performance to Intel Pentium and all at a relatively lower price.